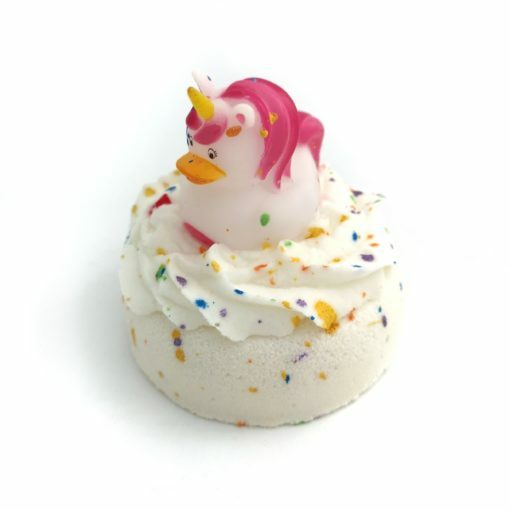 No unicorns were harmed in the making of this deluxe bath bomb! Have a magical bath experience with this deluxe bath bomb featuring rainbow colours, a fruity scent, soft bubbles, and a unicorn rubber ducky! 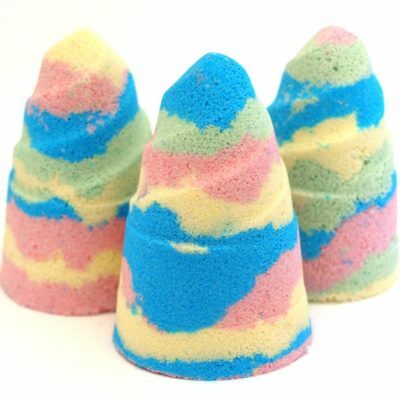 Use the bath bomb and bubble bath separately or combine them for the ultimate bathing experience. 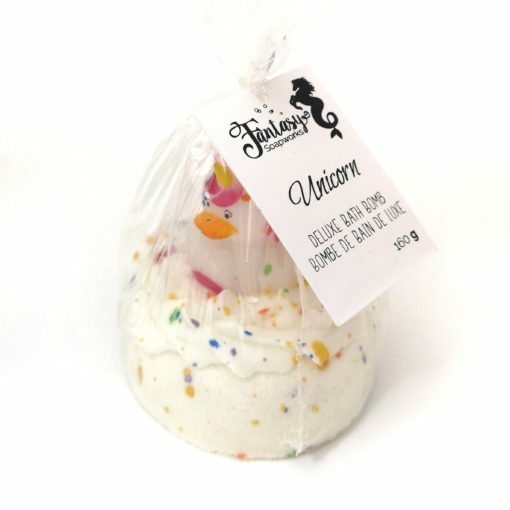 Enjoy the rainbow colours shooting out from the bath bomb while you dream of finding your own unicorn. 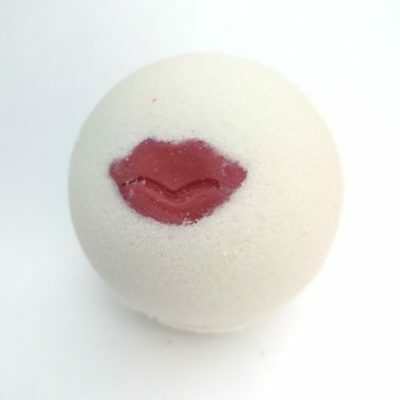 About the scent: A fruity blast with citrus, peach, berries, and a green base. 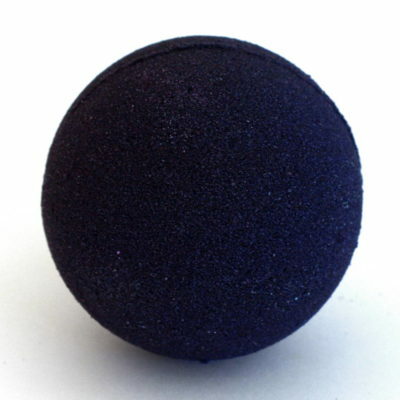 Minimum size: 160 g. As each deluxe bath bomb is made by hand, the exact weight and colour may vary.